We’re rapidly approaching the end of 2017, though that hasn’t stopped the industry from praising AAMCO’s iconic business model. 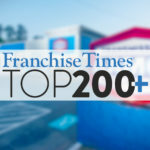 After being lauded in September by Franchise Times, the same publication has now named AAMCO to its prestigious annual Top 200+ list of the best franchise systems to invest in. In September’s profile on AAMCO, Franchise Times noted how the iconic brand has been quick to adapt to the rapidly changing industry. 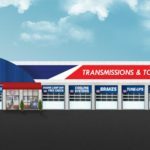 This is one of AAMCO’s continued strengths, leveraging new technologies and the brand’s 50 year reputation as the worldwide leader in transmission repair. To actualize this goal, AAMCO has invested significantly in both initial and ongoing training, establishing AAMCO University in 2015, a state-of-the-art training facility at the brand’s headquarters in Newnan, Georgia. 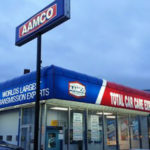 “We set out to find better consumer financing options to help our franchise owners convert more jobs into profit and sales, while at the same time serve their customers in a much better way,” says Jim Gregory, President & CEO of AAMCO. This emphasis on training helps AAMCO combat the shortage of qualified technicians currently in the workforce, and thus makes AAMCO more competitive while continuing to advance its storied reputation as being the only brand capable of fixing the hardest part of the cars: the transmission. In recent years, AAMCO has become one of the most forward thinking automotive repair franchise systems on the market. AAMCO is currently in the process of rolling out a new comprehensive Point of Sale (POS) system, which will improve AAMCO’s business model by providing the ability to create estimates and invoices for customers much more quickly and easily, driving revenue for franchisees in their centers. The cloud-based system is accessible from anywhere in the world, and it provides a suite of tools designed to provide executive-class analytics on business performance, making it easier for franchisees to truly know their businesses and to take the steps they need to make their businesses grow. In addition to the POS system, AAMCO has also launched a comprehensive suite of financing options for its customers. Transmission repair is traditionally one of the most expensive purchases, and now customers don’t have to be saddled with the immediate burden of paying thousands of dollars outright, and instead, they can fit this necessary purchase into the budgets. In turn, this is helping AAMCO franchisees increase the level of profitability they experience in their stores.